The earthquake that occurred just now felt pretty large. No damage here though. Near Ibaraki it was a 5- on the Japanese scale of 7 by the epicenter. The earthquake info page is running slowly. 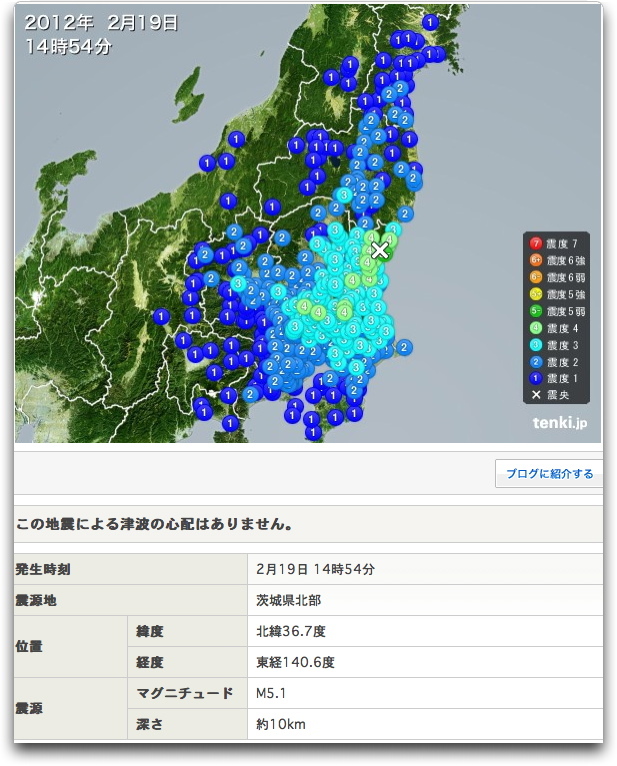 Actual magnitude was just 5.1, but it was very shallow: < 10 km.